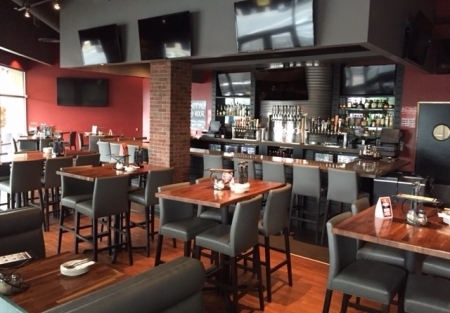 You will love this Sports Bar Family Friendly concept. Are you looking for a concept that can grow? How about and an already profitable concept you can stand behind proudly? Add to this the location and this is a real prize. This may be one of the best locations in Southern California-right at the entrance of a major University. The enrollment is nearly 40,000 and many of these students can walk to your sweet restaurant. Situated on one of the busiest corners near the university with over 1,000 students living upstairs in lofts. The neighboring business includes a mix of retail and restaurants. Apartments surround this beautiful Sports Bar and the front patio entices them to stop by. Current owner has marketing deals with major sports teams having pro players stop in which draws the crowds. 47 License in place. The owner has made sure all the equipment is updated and working properly and most of this stuff is only a couple years old. Annual Gross last year was $1.4 M-up $100K from the prior year. The first 9 months of 2015 the Net was $ 193K w no add-backs. The current owner has a very high degree of attention to detail and the restaurant shows this. Strong vendor and community relationships. Very good lease with options. Original owner spent over 1 Million in build outs with new equipment and the latest technology. This has a great patio where alcohol consumption is permitted. Current owner has started relationships with local sports teams as well as the University to broaden sales and his customer base. Currently no entertainment. Local sports teams frequent this spot. This is a successful franchise concept with strong support and a concentrated desire toward growth. A prospective buyer should be credit worthy with strong financials and experience running a multi-million dollar concept. Current proprietor has owned this a very short time and a recent family illness makes it necessary for him to sell. His loss is your gain. The potential here is obvious.